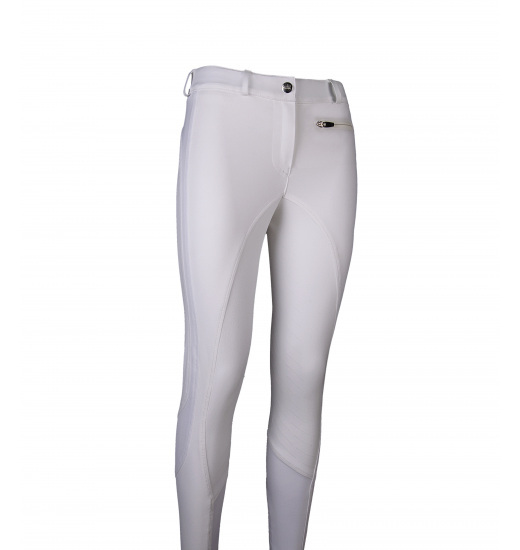 Ladies' breeches Tiffany are made of Schoeller material, which is characterised with high water resistance. 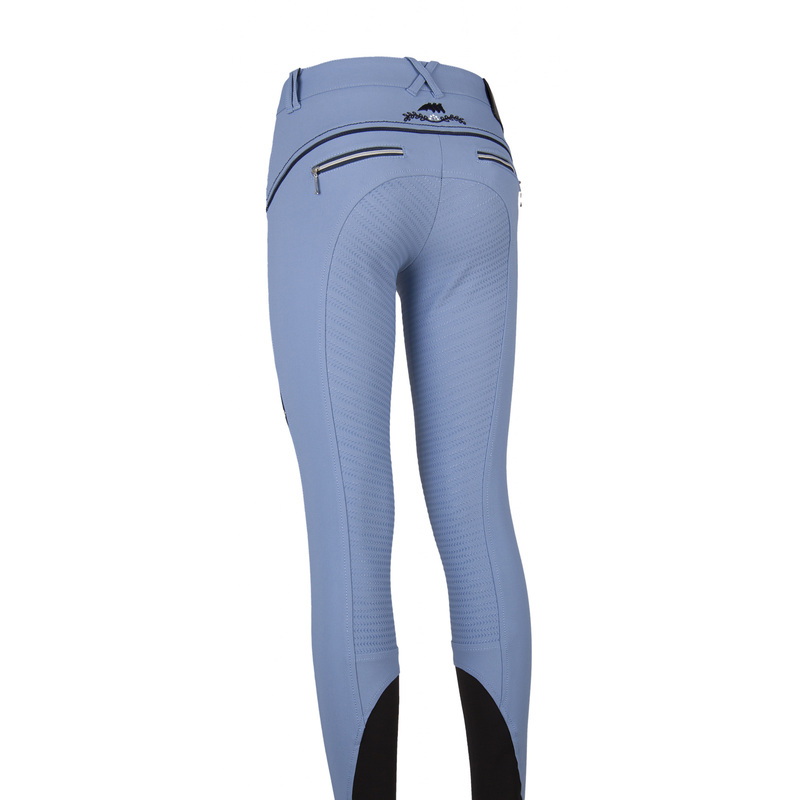 The breeches have full seat, the grip is wholly covered with non-slip grip, which improved adhesion to the saddle. 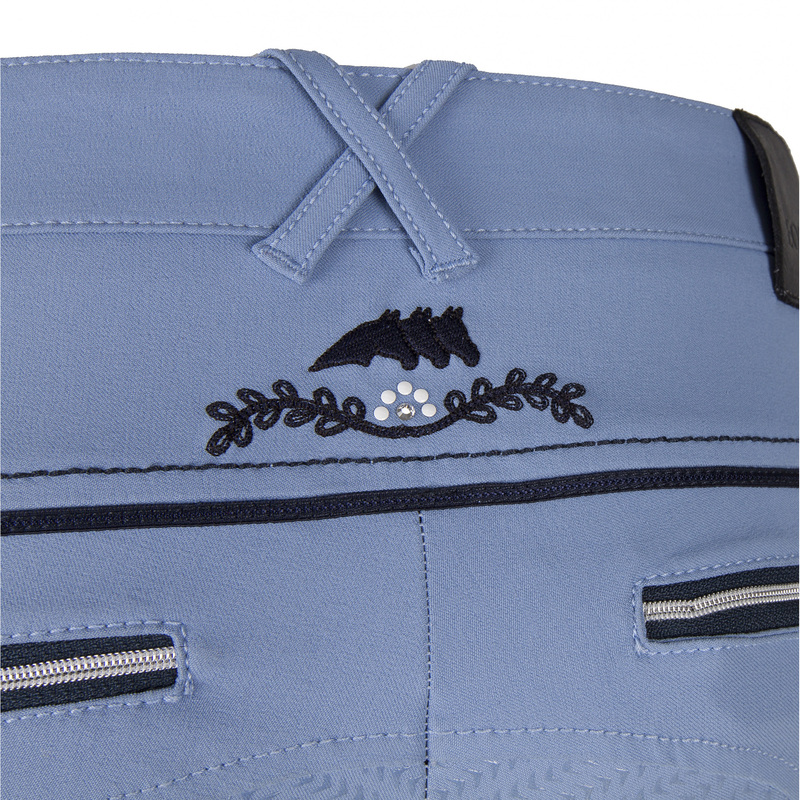 There are decorative, contrasting stitches above buttocks. 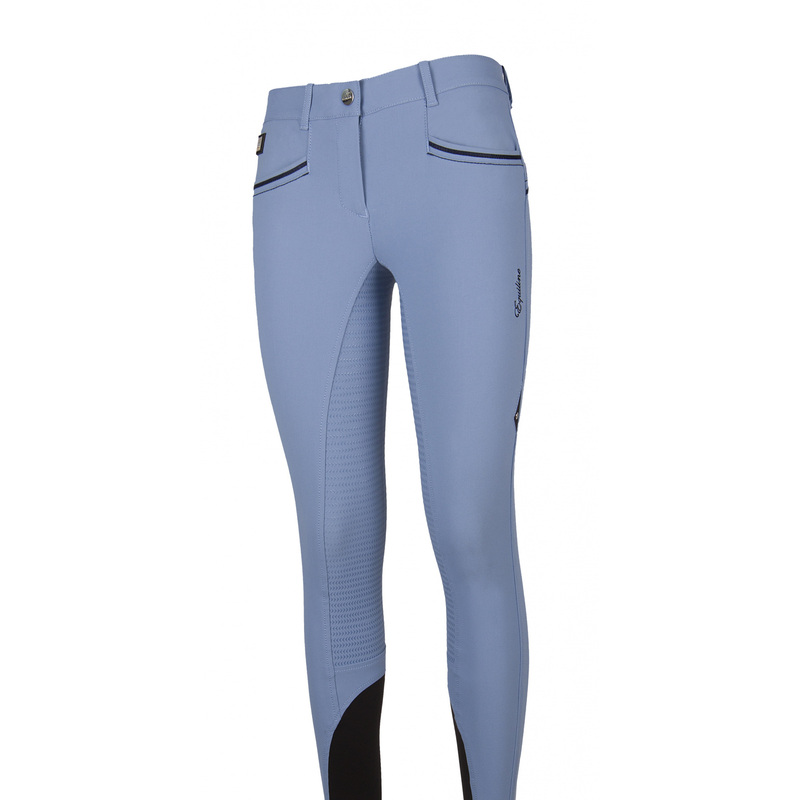 On the calves there is a fragment of elastic material, which provides well fit of the breeches and prevents them from rolling up. 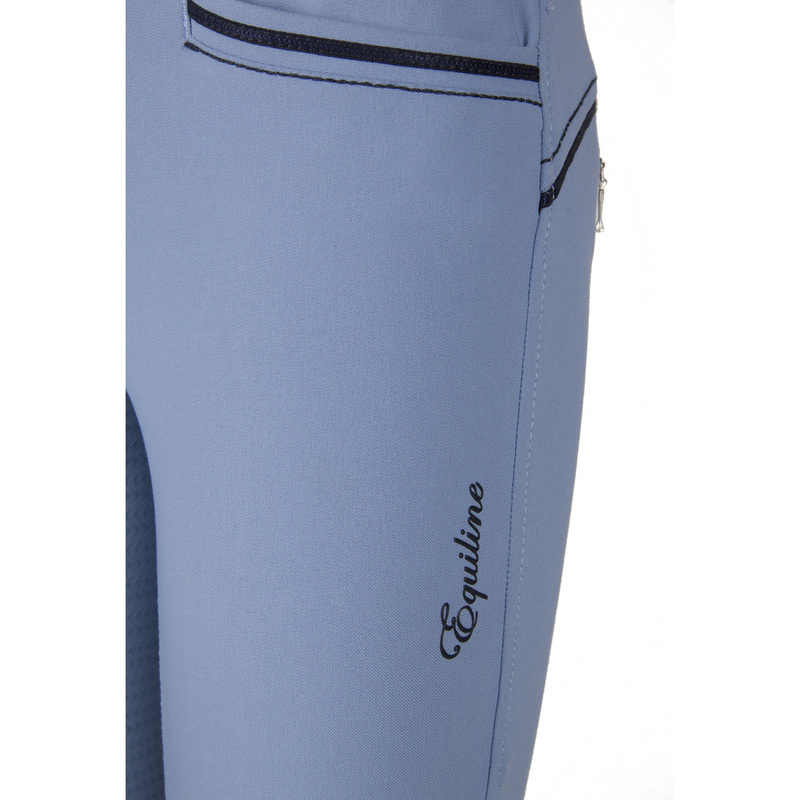 An Equiline logo is ebroidered above the back pockets which are zippered, and the brand's name is on the inner side of a thigh. 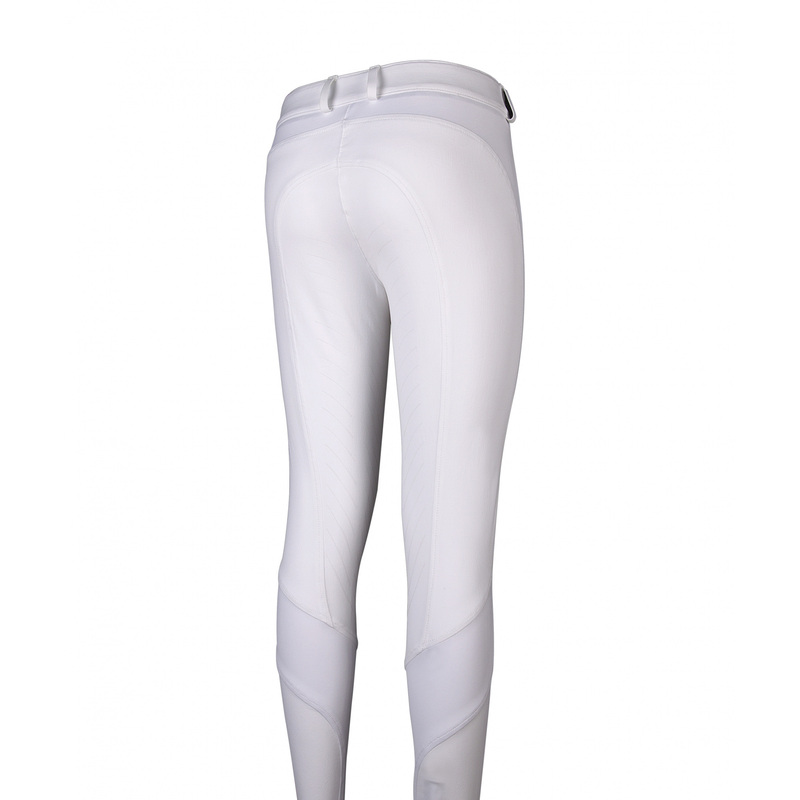 The breeches are very feminine, durable, and each detail was made with dilligence.